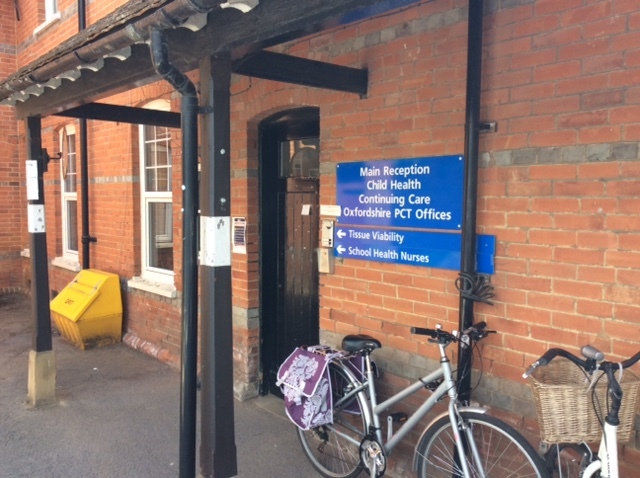 The Tissue Viability service provides specialist advice and support to healthcare professionals who are managing complex wounds within the community of Oxfordshire. 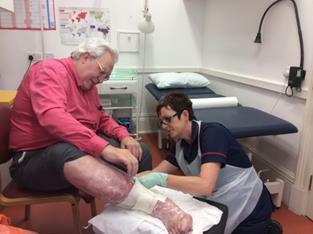 The nurse-led team works in partnership with patients, their carers and healthcare professionals to provide expert wound care advice, specialist healthcare equipment and education that is aimed at preventing needless skin breakdown. The team aims to improve and support high standards of practice through clinical consultations, regular audits, development of guidelines and polices and by delivering formal educational training to healthcare professionals. You can contact the Tissue Viability Service by telephone, fax, email or post, Monday to Friday 8.30am-4.30pm. Messages can be left on our answerphones. Emails sent from Oxford Health to Oxford Health addresses are secure and can include patient details. Likewise, nhs.net to nhs.net emails. Please do not send confidential information between Oxford Health and nhs.net accounts as this is not secure. Step 1. If you have a general query about dressings, treatment pathways, equipment provision etc, there is a wealth of information on this website which is designed to help you with your clinical decision making. Step 2. If the information you need is not here, contact your Tissue Viability Resource Nurse (ReN), or a more experienced colleague. ReNs have had additional training from the TV team and so may be able to advise you. Step 3. If your query cannot be answered by the above, you should email the TV team. When your email is delivered to the TV team inbox, you will receive an ‘out of office’ reply that states the email has been received. If you do not get this, the email has not arrived and therefore, you should resend it. Step 4. 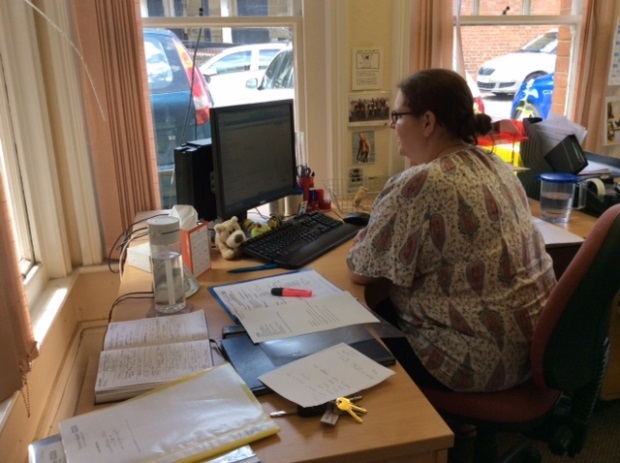 If you are with the patient and discover something serious that needs immediate advice and guidance, or there is a sudden deterioration in a patient you have emailed about you should ring the team administrator on 01865 904959/ 904271. Please do not ring in with routine queries; you will be redirected to our email service. Step 5. Tissue Viability Referral – This should be submitted when the plan of care that has been implemented following the assessment, is not progressing as expected. This form includes referrals for complex wounds, chronic oedema, skin problems and pressure damage problems associated with seating and posture. You should only complete the section(s) that apply to your patient. If requesting equipment, you will need to complete a separate equipment request form. Patients can be referred by their GP, community nurse or any other health care professional. We do not accept referrals from patients directly. Referrals for advice on wound care should be made using the tissue viability referral form. The Tissue Viability Service referral process guidance and TV referral pathway guides will help you identify when and how to refer to us. Referrals for equipment should be made using the equipment request form. Referral forms should NO LONGER be faxed to the team but should instead be emailed to our referrals email address: tissueviabilityadmin@oxfordhealth.nhs.uk for staff with Oxford health emails, and oxfordhealth.tissueviability@nhs.net for staff with nhs.net email. All referrals should accompanied by a medical summary printout and digital photographs of the wounds. Identifying the correct piece of equipment for a patient can be complex. The Tissue Viability Team deals with advice and guidance for clinicians regarding equipment for tissue viability purposes only. Equipment required for functional or health reasons are not sourced through our team. Refer to an occupational therapist for functional need or contact the nursing staff for a health need. The following guidance documents are provided to assist clinicians in decisions around the provision of equipment. If you require any further help please do contact our equipment nurse on 01865 904003. We offer a comprehensive programme of training courses which are free for Oxford Health staff. These courses are also open to other staff groups such as practice nurses and nurses working within nursing homes but incur a charge. Please email us for further information. See our 2019 training programme for more information. This one day course is aimed at all clinicians involved in wound care, both registered and non-registered nurses. The morning session focuses on the importance of assessment in helping clinicians diagnose wound related problems to enable them to plan an effective programme of care. The afternoon session will focus on how you actively manage a wound and wound related problems such as skin care. Clinicians will be guided on how to set realistic and achievable objectives with their patients to gain optimum clinical outcomes. Learning is consolidated through case studies the development of holistic management plans. 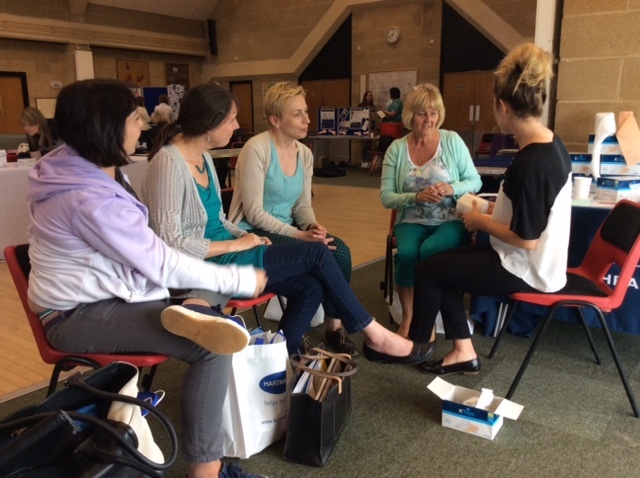 It is recommended that you attend the Wound Assessment and Management study day before the FLUM days as wound management, measurement and dressing selection is not covered in any detail. This is a 2 day course and it is recommended you attend both days. This whole day session offers clinicians an insight into the aetiology of leg ulcers (why they occur) and how assessment is fundamental to gaining a correct diagnosis. There will be a significant focus on why leg ulcers fail to progress, how you can recognise this and the benefits of applying an evidence based treatment pathway in order to improve healing outcomes. . Through various workshops and group work, clinicians will be given the knowledge and skills to be able to develop a leg ulcer management plan that is optimum for their patients’ needs. The morning session will focus on Doppler ultrasound as a means of establishing leg ulcer aetiology. Clinicians will be given a short theoretical presentation followed by a practical session where tissue viability nurses will be available to offer guidance and support. The afternoon focuses on bandaging, where clinicians will have plenty of opportunity to practice the application of the bandage systems currently in use. Representatives from the companies who manufacture the bandages will be on hand to teach and support this practical skill. This course is aimed at all clinicians involved in the management of patients with leg ulceration and includes both registered and non-registered nurses. This one-day course is open to all clinicians involved in the management of chronic oedema, both registered and non-registered. It covers the causes, diagnosis and management of this complex condition and relates specifically to chronic oedema of the lower limbs. We address the challenges nurses face in trying to manage the symptoms of chronic oedema/ lymphoedema and the trainer offers practical skills that will support nurses out in practice. You will be given the opportunity to develop bandaging skills and measuring the lower limb for made to measure hosiery. Measuring and applying compression hosiery – Hot tips for easy application! Information about the formulary will also be available and companies manufacturing the products that support formulary will be on site to advise clinicians on the correct use of their dressings. Clinicians are encouraged to visit the product exhibition. Currently in Oxfordshire, approximately 40% of healed patients develop leg ulceration again and most are found not to be wearing compression hosiery at the time despite it being the gold standard treatment for preventing recurrence. In addition to this, many people are at risk of developing leg ulceration due to underlying venous disease and leg oedema. This risk could be reduced if compression hosiery was worn. Care for the hosiery correctly and be able to advise the patient on long term prevention management. Workshops are three hours long. Please come prepared to participate in a practical session which will involve limb measurement and hosiery application on each other. Tea/ Coffee will be provided. Please feel free to bring your lunch with you. Tissue Viability no longer runs training sessions for the setup of ROHO cushions. If you or your service require training in how to set up ROHO or Starlock cushions please contact the relevant company to arrange this within your cluster, locality or team. These workshops are designed to support clinicians who have already attended the fundamentals of leg ulcers course, but feel they still need some extra support in gaining competency in dopplering. These sessions may also suit those who feel a little ‘rusty’ and would benefit from an update. We suggest that you would assess your level of competence using the doppler competency framework prior to attending, and it would be useful for you to bring these with you. These are practical sessions. It is essential that you bring your Doppler machine (and sphygmomanometer/cuff) with you in order to practice. Assessment is the foundation of all clinical practice; without a robust holistic assessment it is difficult to achieve a clear management plan. This section provides information and tools to aid clinicians in clinical practice and to support them to develop clear and achievable management plans. We advocate the use of TIME principles to provide a systematic approach to the assessment and management of wounds. 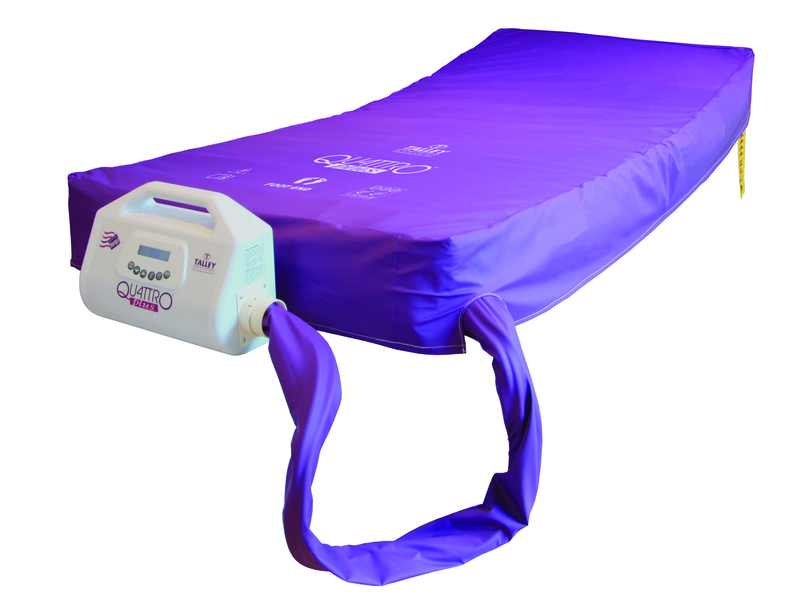 TIME is based on assessment and intervention in four clinical areas with the aim of producing a well vascularised wound bed that facilitates the effectiveness of other therapeutic measures. This framework should be used in addition to obtaining a complete and in-depth medical history and discussion with the patient (and relatives/NOK if appropriate). Regular assessment and review of wound surface area, depth and undermining are also crucial when formulating a management plan. 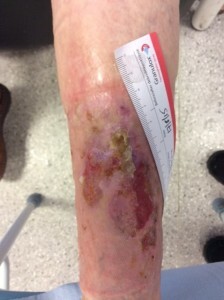 Wound photography is an invaluable tool to monitor progress or deterioration in the wound. 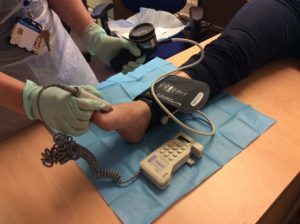 Wound photography and mapping are both also fantastic tools in encouraging active participation with patients and can provide a real boost to patient morale. Product selection should be based upon a comprehensive and holistic assessment of the patient and their wound. Once the wound aetiology and the intended treatment outcome have been confirmed, an appropriate product can be selected. If a patients wound fails to progress as expected then a referral to tissue viability should be considered. 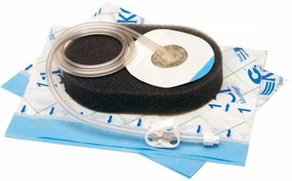 Negative Pressure Wound Therapy (NPWT) is the use of controlled suction to promote healing. ‘VAC’ is often used generically to denote NPWT, and means ‘Vacuum assisted closure.’ NPWT is helpful for promoting healing in circumstances where tissue perfusion is compromised, and also in some cases where excessive exudate cannot be controlled by other means. NPWT involves applying a suction force (i.e. vacuum) across a sealed wound, using a reticulated foam interface or specified types of gauze. Both the suction effect and the mechanical forces generated at the interface with the wound lead to a variety of changes in the wound, positively influencing the healing process. Please follow the links below for further information and guidance. Typically they occur in a person confined to bed or a chair by an illness and as a result they are sometimes referred to as ‘bedsores’, or ‘pressure sores’. All patients are potentially at risk of developing a pressure ulcer. However, they are more likely to in people who are seriously ill, have a neurological condition, impaired mobility, impaired nutrition, or poor posture or a deformity (NICE, 2014). Pressure ulcers present a major health care challenge. It has been recognized that pressure ulcers place a huge financial burden on the health care system and additionally result in a poor quality of life for the patient with an increased risk of morbidity. It is also known that many pressure ulcers are avoidable. Efforts to reduce occurrence of pressure ulcers need to focus on prevention rather than cure. If we are to manage rates of pressure ulceration best practice needs to be employed by the use of guidelines, educational support and provision of appropriate equipment. Nice guidance (2104) recommends using a validated scale to support clinical judgement when assessing pressure ulcer risk. 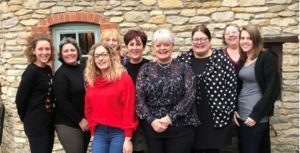 Oxford Health has adopted the Braden tool as its pressure ulcer risk tool as it proven to provide higher inter-rater reliability and consistency of patient risk assessment. 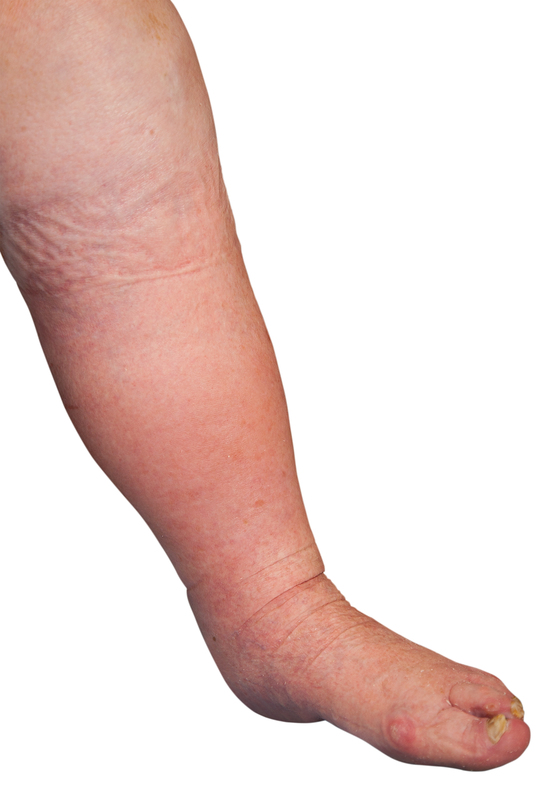 A leg ulcer is defined as ‘the loss of skin from the knee to the ankle, which takes more than 6 weeks to heal’. There are several reasons why people get leg ulcers, the most common one (approx. 60 – 80%) being due to venous insufficiency arising from faulty valves in the veins and/ or poor calf muscle pump action. A smaller percentage of ulcers (10 – 20%) are caused by poor circulation in the arteries or as a result of other diseases such as diabetes or rheumatoid arthritis. It is estimated that approximately 1% of the population in the United Kingdom will suffer from leg ulceration at some point in their lives with the experience often impacting negatively on their quality of life. Without correct treatment, ulcers can remain unhealed for many months or sometimes years, resulting in episodes of infection, pain and immobility. To improve the healing rates of venous leg ulcers in Oxfordshire a venous leg ulcer treatment pathway has been introduced (click on venous leg ulcer pathway tab) which supports evidence based practice and has contributed to more ulcers being healed within 24 weeks. All clinicians delivering leg ulcer care are expected to use this pathway. The resources found within this site will assist nurses with their clinical decision making when managing a patient with a leg ulcer. In 2012, In order to optimise the healing potential of venous leg ulcers, two treatment pathways were designed and then piloted in clinical settings across Oxfordshire. These pathways are evidence based and focus on good wound bed preparation, managing infection, correct application of compression, monitoring of progress over 6 weekly periods and timely referral to a specialist if the ulcers fail to improve. The pilot proved that more ulcers heal within 24 weeks when a treatment pathway is implemented. The pathways have now been implemented across all care settings within the community with an expectation that all clinicians providing leg ulcer care should be using this best practice model. The guidance on allocating a patient to a venous leg ulcer pathway should be viewed first in order to ensure the correct treatment is delivered. Further supporting documentation can be found under the RESOURCES Tab on the homepage. 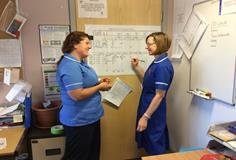 District nursing teams use a Patient Status at a Glance board to monitor progress of patients on the pathways. Left untreated chronic oedema of the lower limbs can progress and cause skin changes such as discolouration, eczema, dry skin plaques and hardening of the tissues. The risk of developing leg ulcers increases as the tissues become more vulnerable to injury and wounds fail to heal properly. The tissues become prone to infection and can require hospital admission. In the advanced stages the limbs change shape developing skin folds with hard cobblestone skin. They can begin to leak fluid profusely as the skin is unable to contain the fluid. Chronic oedema can have a significant impact on a person’s quality of life. It is also costly to the health service in terms of time, resources and staffing. The key to managing chronic oedema is early intervention to prevent disease progression. The main interventions include compression therapy, skin care, exercise and elevation. Managing chronic oedema complicated with ulceration, lymphorrhoea (leaky legs) or infection can prove a challenge. However, with appropriate management strategies, these factors can be reduced. 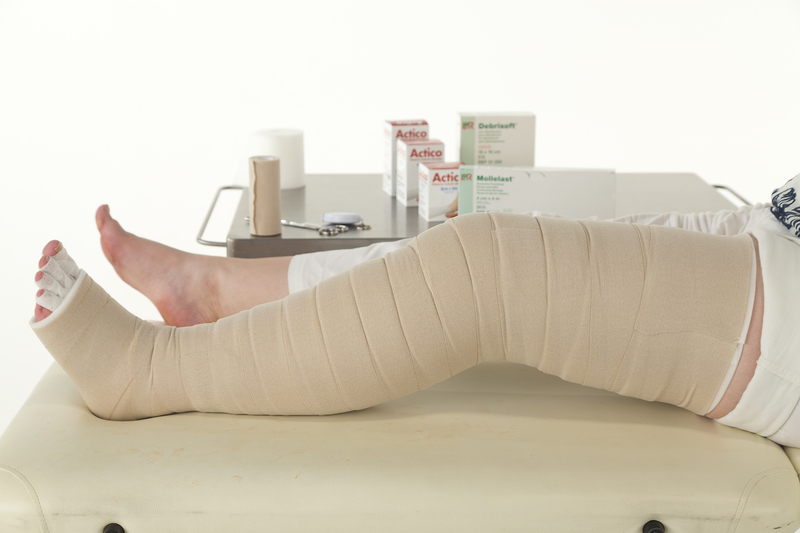 Correctly applied compression therapy is recognised as the mainstay of treatment for both the preventative and therapeutic care of venous disease, with high compression bandaging now established as the treatment of choice for venous leg ulceration. Compression therapy is mainly delivered through the application of bandaging or compression hosiery. Minimising or reversing skin changes that impact on wound healing. Compression therapy should not be applied before the arterial status of the limb has been established (Doppler test) and should be applied in line with local policy and guidelines. We have developed and made available a range of documents and guidelines to assist and inform clinicians within Oxfordshire. Below are links to a selection of power point presentations form the various study days we run. Although we try and keep them as up to date as possible we do tend to make regular changes base on feedback we receive. You may find parts of the presentation differ slightly from the one you received but it shouldn’t be by much. The following websites contain a wealth of resource for clinicians to access. Activa Healthcare – For videos on full leg bandaging, measuring for hosiery and e-learning modules. The British Lymphology Society – For guidance and resources on Lymphoedema. For International guidelines, conferences and pressure ulcer resources. For research and educational resources. Wounds UK – For best practice statements, journal articles, ‘Made Easy’ booklets and many more useful resources. Wounds International – For articles & webcasts raising awareness and sharing best practice world-wide.